Fintech in booming in Ireland as the country shows itself to be a key industry hub in the wake of Brexit, with favorable government initiatives and strategies, a large network of accelerators and the all-important convergence of banks and disruptors to aid its financial dominance. Deloitte’s Global Fintech Hub Report for 2017 named Dublin as one of Europe’s fintech hubs with the highest potential, citing the city’s large pool of fund managers, and its high concentration of startups working in regtech. There are about 140 fintech companies in Ireland, according to Fintech Ireland, but here are 15 names you should know about. Fenergo is a provider of client onboarding lifecycle management software for corporate, investment and private banks, serving 17 of the top 50 banks in the world. Founded in 2009, the company’s solutions span front and middle offices operations to provide banking clients with an end-to-end lifecycle management solution. Fenergo is one of the most well-funded fintech companies in Ireland, raising a total of US$80.4 million in funding so far. Founded in 2015, Plynk has developed a “money messenger” app that lets users make peer-to-peer payments to their friends and relatives instantly and for free. The virtual account is linked to a MasterCard through which users can withdraw their money in cash and make payments at merchants part of the network. Like Fenergo, Plynk is also one of the most well-funded fintech startups in Ireland, raising last year €25 million in a Series A fundraising round – one of the largest Series A in Irish history. The fundraising brought Plynk’s total funding amount to date to €25.7 million. TransferMate Global Payments is an award-winning fintech startup specializing in global remittances and cross-border payments for businesses. To date, the platform has processed more than €10 billion worth of transactions for its clients. TransferMate Global Payments raised €30 million in funding in November 2017. CR2 is a banking software provider offering retail banking solutions. CR2’s BankWorld is a suite of banking solutions which provides a complete view of each customer’s entire banking relationship. It comprises of an omnichannel integrated platform that manages and personalizes all self-service channels: ATM, kiosk, Internet banking, mobile banking, POS and cards. CR2 has raised US$15.1 million in total funding so far. 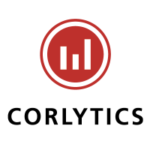 Corlytics is a risk focused financial intelligence technology company that works in partnership with regulators and financial institutions globally. Corlytics analyzes enforcement data and other important regulatory information. This helps all stakeholders achieve better regulatory planning and execution, by providing evidence based intelligence. Corlytics has raised €4 million in funding so far. Flender is a peer-to-peer finance platform which helps people borrow and lend money via their social circles, while allowing businesses to raise funds through their own customers. Flender leverages existing connections in order to increase trust between borrowers and lenders, lowering default rates. 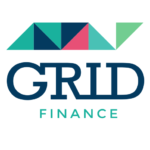 The Dublin-headquartered fintech startup, whose backer include former EY Entrepreneur of the Year award winner Mark Roden, announced a €50 million debt financing round to fund its expansion in March 2018, bringing its total funding amount to more than €51 million raised so far. Moqom provides secure customer identity solutions to the financial services industry. The company’s ConfIDent product suite enables frictionless, instant customer identity across any channel, be that face to face, via an App, web, SMS, phone call, or video phone call. ConfIDent can be seamlessly integrated alongside a banks’ existing processes and risk management systems, with minimal to zero effort. 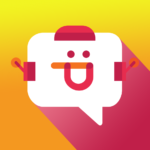 Moqom has raised US$3 million in funding so far. Eagle Alpha is a provider of a full service solution that enables asset managers to obtain alpha from alternative data. Eagle Alpha’s Research, Tools and Data are used by some of the world’s leading investment managers and investment banks to leverage non-traditional insights from the web. Clients also include family offices, corporates, online brokers and central banks. The company was founded in September 2012 by former Morgan Stanley investment banker, Emmett Kilduff. 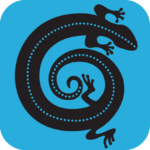 Eagle Alpha has raised US$5.6 million in funding so far. Linked Finance is one of Ireland’s leading peer-to-peer lending platforms. 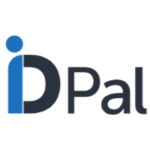 It connects local businesses who need loans with a vibrant online lending community. The platform counts over 18,000 registered lenders who have lent more than €53 million to 1,400+ Irish businesses. Linked Finance has raised €4.5 million in funding so far. Ding claims to be the world’s largest mobile top-up network, safely delivering a top-up every second of every day. The company is directly connected to over 400 operators in 130 countries with a reach of 4 billion phones. Top-up can be sent via www.ding.com, using the mobile app and in more than 600,000 retail locations globally. 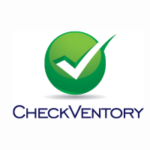 CheckVentory was established to give credit managers of capital asset floorplans the tools to quickly, accurately and easily conduct frequent audits of inventory located across multiple sites. The platform is designed to collate data from multiple auditors on multiple asset types in one location. The dashboard management enables managers to easily identify and verify the locations of all funded capital assets under their control. They can quickly react to missing or sold assets to take the necessary steps for cash collection of recovery. Audits can be conducted far more frequently and accurately with better quality data at a lower cost than traditional field audits. CheckVentory has raised €550,000 in funding so far. Signatur is a blockchain startup that specializes in financial solutions. Currently, Signatur provides cross-border money transfer services that leverage cryptocurrencies, the Signatur Card for in-store payments, and secure cold storage services for cryptocurrency users and investors.